1) FetchIt! - The Fetch Mobile Manipulation Challenge. 2) TechCrunch Sessions 2018 - Robotics. INFO: This collection contain highlights of TC Sessions: Robotics from 2018. In there you will find sessions with CEO representatives of such comapnies/organizations as Boston Dynamics, UC Berkeley, Nvidia, Fetch Robotics, Agility Robotics, Aurora and SuitX. INFO: ROSflight is an autopilot system designed from ground up to be interfaced with ROS. ROSflight firmware is compatible with STM32F103 and STM32F405 based flight controllers (revo, naze32, flip32) that are meant to be interfaced with an onboard computer for high level control. If you are interested in ROSflight source code then you can find it on GitHub. 4) Mobile Robot for Aircraft Inspection. INFO: Researchers at Luleå University of Technology are working on a Vortex Robot that uses air suction (in the video at the bottom article you can see what appears to be a robot with ducted fan embedded in it’s body) to perform inspections on bodies regardless of their curvatures and inclination. The video at the bottom shows the team testing the robot on Boeing 737. 5) AI City Challenge 2019. INFO: AI City Challenge is a competition focusing on AI in Intelligent Transportation Systems (ITS). The challenge consists of 3 tracks: city-scale multi-camera vehicle tracking, city-scale multi-camera vehicle re-identification, traffic anomaly detection, each provided with a datasets. The deadline for final evaluation results is 10th of April 2019. 6) Air Powered Soft Robotics Gripper. INFO: This step by step tutorial explains the process of creating a simple air-powered soft robotics gripper. 7) Publication of the week - ROS Navigation Tuning Guide (2016). INFO: This document is a good practical introduction to the ROS navigation stack. The tutorial covers the concepts of global and local planners and AMCL (Adaptive Monte Carlo Localization). What we like the most about this document is how practical it is about navigation tunning and explaining the most important parameters and how they affect navigation. 0) Introducing the sponsored section. 0) Would you like to advertise an open position in a robotics related company? INFO: If you would like us to include your open position in the hiring section please feel free to send us an e-mail. 1) Ocado Group (Hatfield, UK) - Various Positions. INFO: Ocado is the world’s largest online only grocer. Ocado Technology is responsible for the design and development of almost all the software that runs our highly automated business. Ocado has open positons for Robotics Research Software Engineer - Artificial Intelligence and Machine Learning, Robotics Research Software Engineer and Robotic Systems Application Engineer. 2) Smooth Robotics (Odense, Denmark) - Software Developer. INFO: Smooth Robotics develops systems for intuitive robot control. 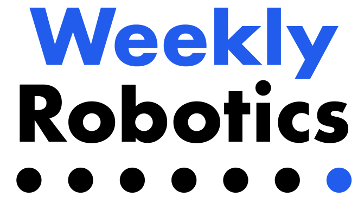 3) Welbo (Amsterdam, Netherlands) - Social Robots Developer. INFO: Welbo creates social robots solutions that welcome visitors and support them in other tasks. 4) Universal Robots (Various Locations) - Various Positions. INFO: Universal Robots develops industrial collaborative robots that automate and streamline repetitive industrial processes.